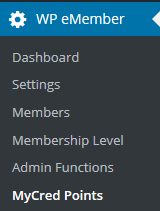 You can integrate the WP eMember plugin with MyCred plugin so that the members can get points for various activities. 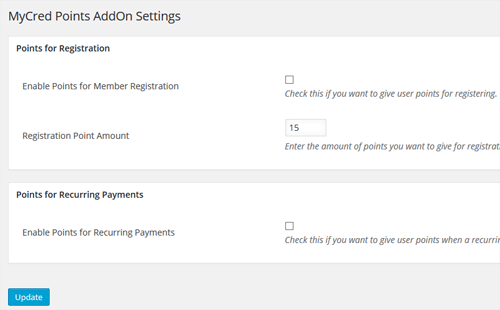 Step 1) Check the “Enable Points for Recurring Payments” option from the eMember MyCred addon settings. Please contact us to get this addon.